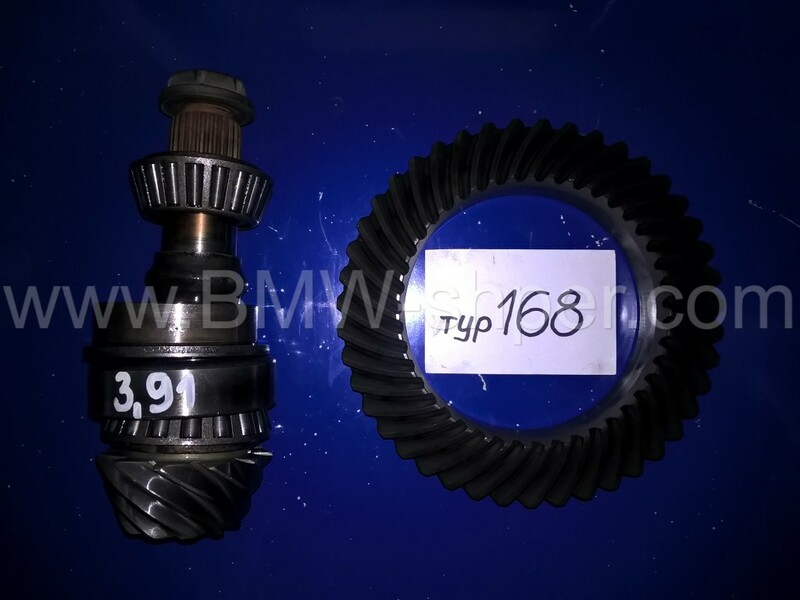 BMW 3.91 CWP ratio gear set. Original BMW final drive. 3.91 ratio. Tooth count 43/11. Ring gear bolt size is M10. Included bearings and pinion shim to help with proper gear set up. Teeth are coated with liquid grease. The price is 130 €.